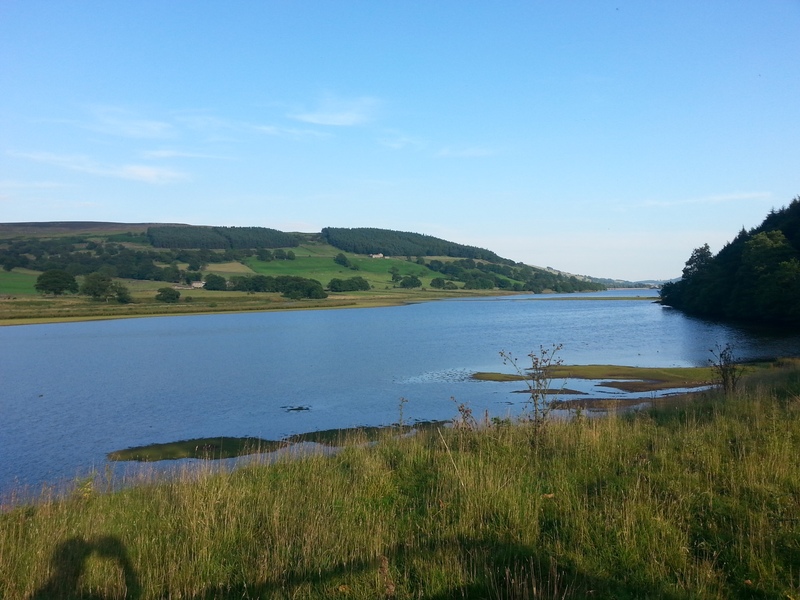 Gouthwaite Reservoir is the lowest of the three reservoirs in Nidderdale and is situated halfway up the dale between the small villages of Wath and Ramsgill. Indeed the reservoir just about fills the valley floor between those two villages. 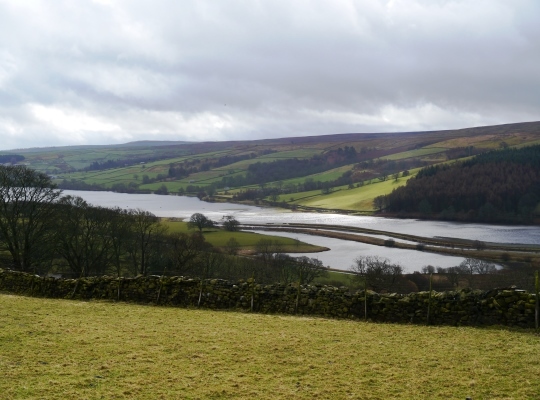 Unlike the two reservoirs further up the dale Gouthwaite was not created to provide water but to act as a compensation reservoir that maintains the flow of the river in periods of dry weather. More specifically it was created to maintain a continuous flow of water for the numerous mills that were once found downstream of the reservoir. 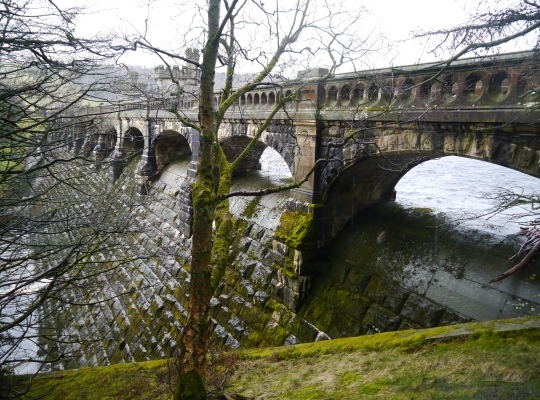 Work on Gouthwaite Reservoir began in 1893 and was completed in 1901. 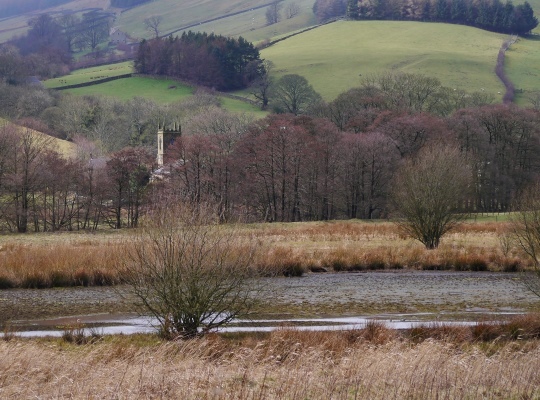 Gouthwaite Hall, the former home of the Yorke family who had long standing ties to Nidderdale, was submerged by the reservoir. A replacement hall was built on the west bank of the reservoir using some of the stone from the old house. Gouthwaite Reservoir is noted for its natural appearance, something that is helped by the fact that the 90ft high dam is largely hidden by trees. It is also well known as a habitat for a wide variety of waterfowl and other birds and is a designated Site of Special Scientific Interest. 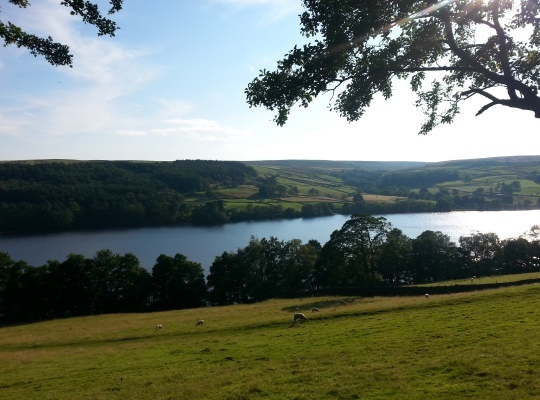 The Nidderdale Way passes alongside both flanks of the reservoir although on neither side is it possible to walk along the edge of the reservoir itself. This is a shame, especially on the western side where the route of the Nidderdale Way follows the valley road which is quite bendy in places. It is fine for cycling along, as I did one summer’s evening in 2015, but it is not a stretch of road I’d like to walk along thanks to the speed cars drive along the road. A car park above the road does provide access to a viewing platform on the other side of the road for those who just want a quick look at the reservoir or who want to indulge in a bit of bird spotting. For walkers there is a fine path on the eastern side of the reservoir, the difficulty lies in creating a satisfying circular walk without resorting to the road.